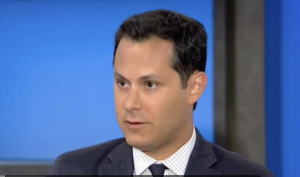 Daily Beast reporter Sam Stein apologized on Monday after accidentally tweeting out the home address of Kentucky Sen. Rand Paul (R.) when he posted a copy of the arrest warrant for the man accused of assaulting the senator. Paul suffered bruised lungs and five broken ribs after Rene Boucher tackled him from behind Friday on the lawn of Paul's home in Bowling Green, Ky., according to police. Boucher, a neighbor of Paul's, was arrested on a misdemeanor assault charge. Stein tweeted Monday he had obtained the arrest warrant, but it showed Paul's address in the complaint description showing where police responded to the original call. It also had Boucher's address. After online observers noted this, Stein deleted his tweet and sent out a copy of the warrant with both addresses redacted. "Here is a repost of arrest warrant for Rand Paul incident. This one has redactions. Sincere apologies about missing that last time," he wrote. Paul's injuries are severe enough that it is not clear when he will be able to return to work in Washington.